By getting your teeth straight, we will improve how your teeth look, and also help how your teeth chew. Having straight teeth, also makes your teeth and gums easier to look after and keep clean, therefore helping the long-term health of your teeth. Some people have upper front teeth that stick out and look unsightly. These 'prominent' teeth are more likely to be damaged, but orthodontic treatment can move them back in line. If the upper and lower jaws don't meet correctly, this can put strain on the muscles of the jaw, causing jaw and joint problems and sometimes headaches. Orthodontic treatment can help you to bite more evenly and reduce the strain. Childhood is usually the best time. But it’s never too late, adults can have orthodontic treatment too. The most important thing is to have a full examination. This will usually involve looking at your teeth, taking x-rays, photo’s and mould’s of your teeth. We will then discuss what treatment is possible. If your case is not suitable for Clear Braces, then we will give you the option of being referred to a Specialist Orthodontist for conventional “fixed” wire braces. 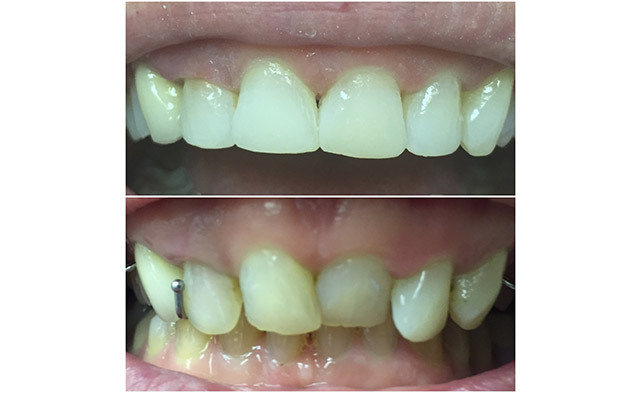 If you are suitable for Clear Braces, we are able to show you a model of how your teeth will look at the end of treatment. If you are happy with the treatment plan, then we can go ahead. How do “Clear Braces” work? We use a series of “Aligners” (Moulds) to gently move your teeth into perfect alignment. They are made out of a nearly invisible, tough clear plastic which are specially moulded. This means that no one need know you are straightening your teeth. 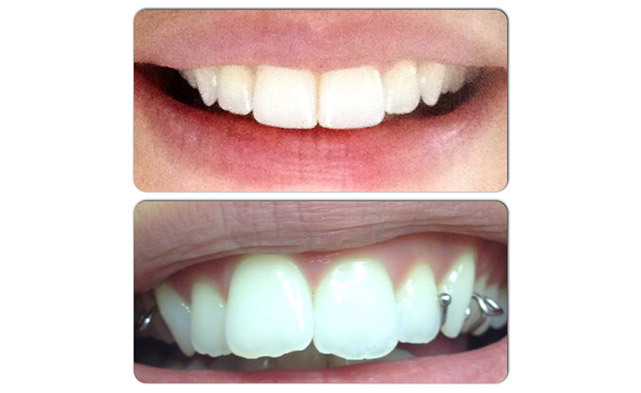 Each set of aligners are worn for two weeks before being replaced with the next ones. The aligners should be worn for 22 to 23 hours a day for the best results. They can be easily removed for eating, drinking hot drinks, brushing, and for cleaning in between your teeth. If you do not have enough room for all your permanent teeth. If so, you may need to have some permanent teeth taken out to make space. Your dental team will tell you whether this is the case. Sometimes space can be made using other forms of treatment. The length of treatment depends on how severe the problem is, Generally most cases using “NimroDENTAL Clear Aligners” take between 6 to 9 months. “Fixed” wire braces can take up to 2 years. Are Clear Aligners comfortable to wear? All appliances may feel strange at first, and can cause discomfort. If the problem doesn't go away, your dentist or orthodontist may be able to carry out adjustments to help. Teeth are usually uncomfortable immediately after a brace has been adjusted, but this will settle. Sometimes, there are some interferences with your speech for the first week or so, but the mouth soon gets used to the new feel of the brace. Your teeth can be damaged if you don't look after them properly during treatment. The braces themselves will not cause damage, but poor cleaning and too many sugary foods and drinks can cause permanent damage to your teeth. Braces can trap food and cause more plaque than usual to build up. So you need to clean your teeth and appliance very thoroughly. 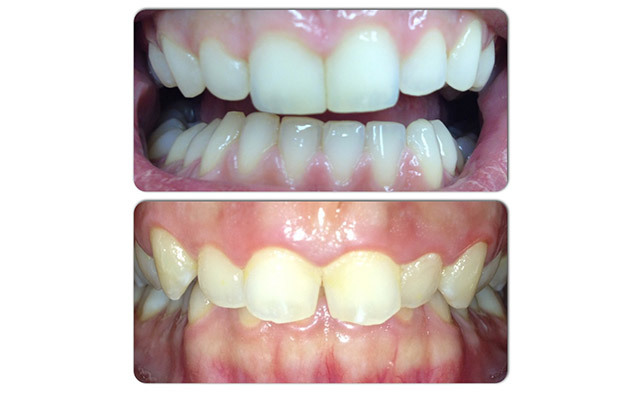 The retainers hold newly straightened teeth in position while the surrounding gum and bone settles. 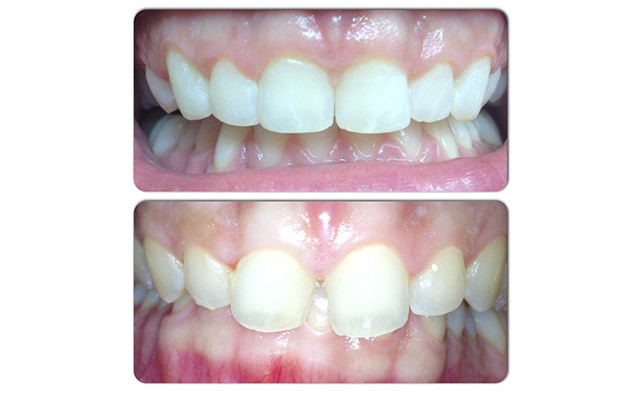 The retainers can be removable or fixed, depending on the original problem. Even after retention, it is normal for minor tooth movements to happen throughout life. So no permanent guarantee can be given. 1. Clean your teeth carefully every day, including between your teeth where you can. Braces are delicate and you need to make sure you clean them carefully so that they do not break. 3. Brush your teeth last thing at night and at least one other time during the day. Use a mouthwash if you need to. We may recommend a stronger fluoride toothpaste, or perhaps a fluoride gel or mouthrinse, for you to use.